The creation of a comfortable dwelling certainly involves a series of very long processes. Style, selection, Color determination, Budget, as well as other decisions is quite crucial as well. One example is the selection of floor type to cover the ground. Are you also confused? Well, now we will provide information on the type of floor that is suitable for your dwelling. As the times progressed, tile floors were chosen and used more. That’s because the surface is easy to clean and can also create a cool atmosphere. If you want to combine the type of floor in your home. Or even choose an alternative type of flooring for residential interiors, the following types and full explanation. You can also know the scale / value of each type of floor both in terms of endurance of the price. The guide can be seen in the picture below. Vinyl is a floor covering material made from synthetic polymers enhanced by pigmentation and color enhancement. This one floor type of color and model can be customized to your liking. You will find vinyl flooring in the form of wooden floor. But apparently there is also a vinyl floor that has a natural stone look, animal skins, tiles, until the ceramic with the latest motifs. During this time we must think that vinyl has a shield shape and has a certain thickness that is rolled up like a wallpaper. There are two other types of vinyl produced and often used are as follows. This one vinyl floor has a square ceramic tile shape. 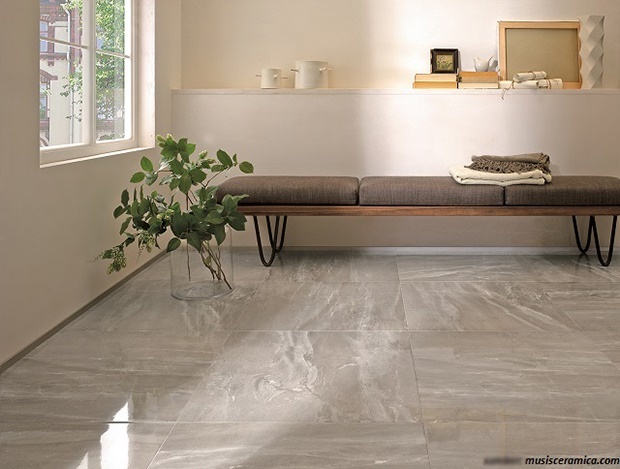 This type of choice is very beautiful with a surface look like a marble or classic tile floor. You can choose this type of one to create a room with a perfect look and similar to the original material. 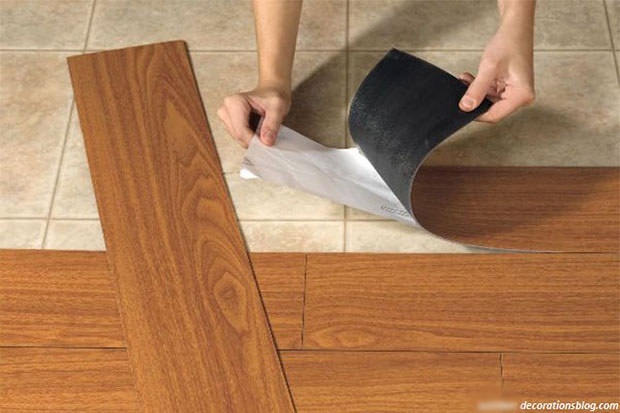 Vinyl shaped board is very similar to pieces of hardwood floor or original wood floor. The size, features, and surface are really very similar. That’s why this type of vinyl is the choice of many people. The price is relatively very cheap. Easy to install and suitable for coating floors in various rooms. Kitchen, bathroom, living room, even the playroom can use it. Easy to clean. Simply swept occasionally. For future care you simply provide varnish only. Flexible, durable and not easily damaged, and waterproof. If it is damaged or torn, it is difficult to reconstruct. Must be replaced entirely. The manufacturing process contains many chemical elements. These materials can affect long-term air quality at home. Many know that building materials made of bamboo have excellent resistance. Design room with a floor made of this material has also been widely used. This type of floor has a very beautiful natural impression. Here is a Bamboo Floor type. Do not imagine that the bamboo floor is made of split bamboo slats and then strung together in such a way using a rope. Natural bamboo floors are now often used for modern dwelling is a bamboo that has been processed with the press technique to be solid and shaped pieces of floor. Prior to the press and sealing process, bamboo material is heated in water mixed with certain substances to maintain its durability. Bamboo molding floor also still utilize original material. But when the process of manufacture, Bamboo is processed in such a way that it becomes wood porridge. After that, the bamboo has been finely mixed with adhesive material then molded into pieces of floor. 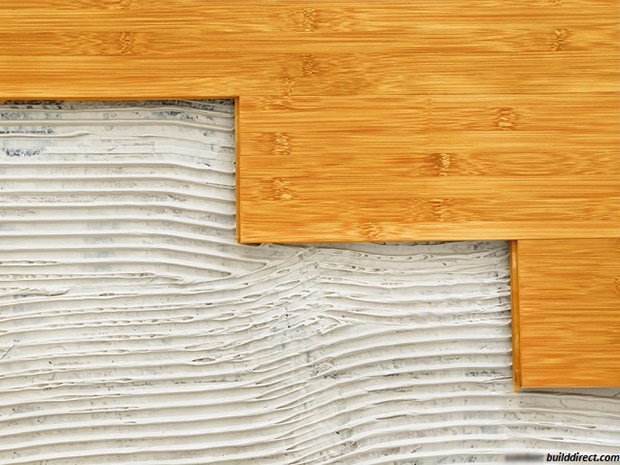 Artificial bamboo floor is mixed with various other materials such as acrylic, pine fiber, plywood, and other materials. All mixed together, added glue, then printed. Only the surface that will look like a bamboo, but its durability is very different from the original bamboo floor. Hypoallergenic alias does not cause allergic reactions in all people, despite using natural ingredients. A natural blonde yellow color, providing a very natural focal point. The adhesive contained therein may release VOCs (Volatile Organic Compounds) or volatile organic compounds that are harmful to the body. Easily damaged if exposed to water constantly. The color will easily fade if exposed to sunlight in a natural time period. Have you ever heard the floor from cork? This type of floor actually exists but is not made of Styrofoam cork used to wrap electronics. Rather, it is made of bark of a certain tree which is processed in such a way. 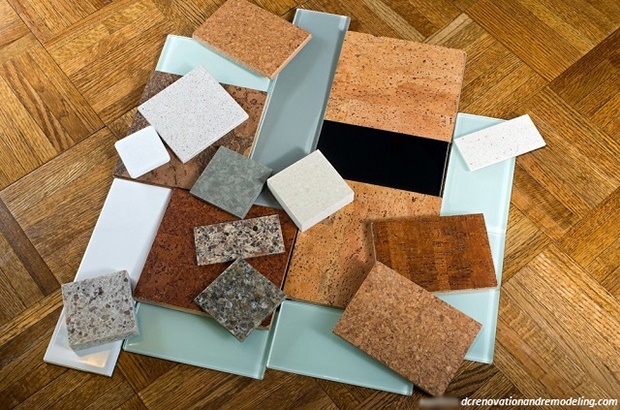 Floor type cork could be a choice of basic cover that is also natural home in addition to bamboo flooring. The bark material is processed without the use of flammable chemicals that make this type of floor fireproof and corrosion-proof. The surface of the cork floor has a soft feature as it is filled with air cells. This can provide comfort for your feet that always step on the hard surface during walking. The cork floor also has a hypoallergenic nature because it contains sobering substances. If you want to choose this type of flooring, place it in areas prone to accidents like bathrooms. Can absorb and store water if the installation process is not done properly. Its durability is highly dependent on the finishing floor used. Very expensive compared to other floor types. In addition to use as a seat and interior sweeteners, carpets are also widely used as a home floor coating. But this is mostly done by people in sub-tropical countries or homes that use air-conditioning in all directions. You may more often find carpeted floor rooms in starred hotels or office buildings. There are two types and types of carpet floor that can be an option, namely. 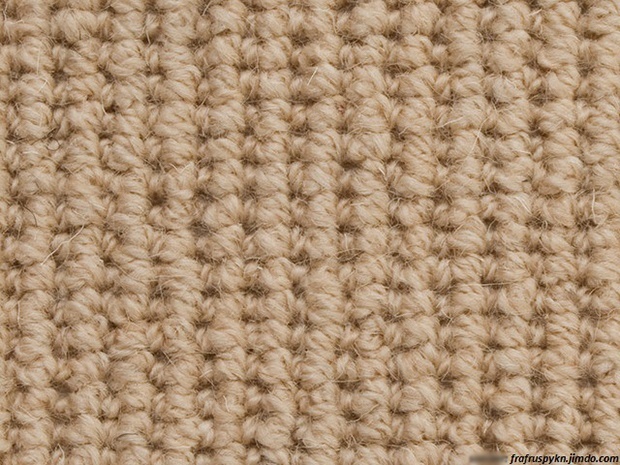 Synthetic Carpet, made of polyester, nylon, or polypropylene. Natural Carpet, made of wool yarn. Both types and types of floors can give the impression of a comfortable, warm, and also elegant in the room of your home. Can create a very comfortable atmosphere of the room and can serve to cool the cold air in the rainy season. Can function as a good soundproofing material. 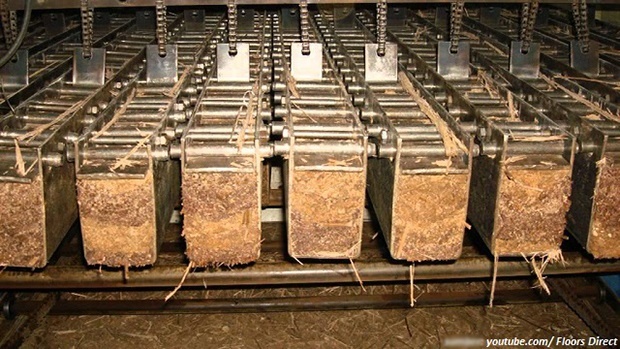 Can maintain indoor air quality by silencing dust and animal hair. Stained easily and difficult to clean. The cost of washing and cleaning is quite expensive because it requires experienced help. Easy to fade if you are in a room that is often passed by the people of the house, especially if the material is cheap. 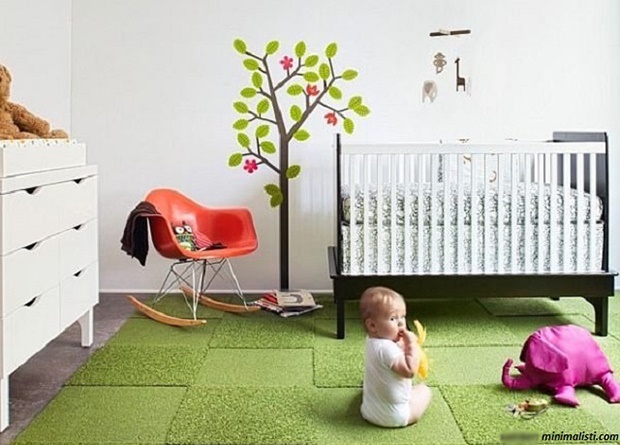 If you intend to choose this type of flooring at home, use it in the bedroom or children’s playroom. This can reduce the potential for injury to children when they fall while playing. You can also use it in your living room area as well as your private bedroom to warm up the atmosphere. It is not advisable to place full carpet flooring in the kitchen area because it will make you trouble in the future. 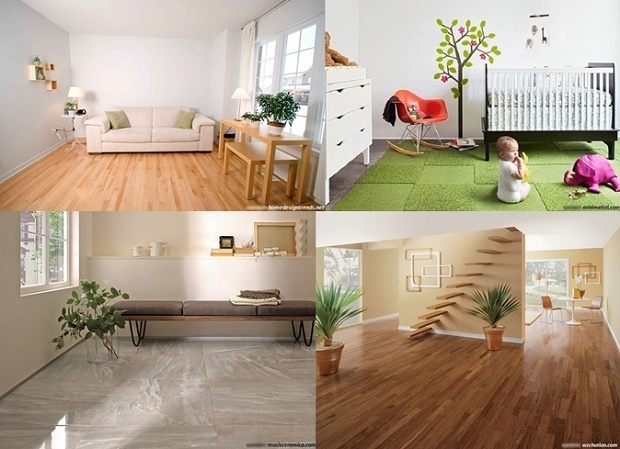 Currently, more and more people who prefer to use the type of floor with a natural look. That’s why the type of flooring of wood or looks like wood much hunted the homeowners. If we had already discussed the artificial wood flooring of vinyl, now we discuss the original type! Natural wood flooring or often referred to as hardwood floor is made of three pieces. Pieces are processed without mixing with other materials so as to make the quality of this one floor is very good and can be said this one floor has a premium quality. Because the material is the price of the type of hardwood floor is also quite expensive. A hardwood floor is formed into small pieces that are connected to cover the entire surface of the floor. The piece is called a parquet. What type of wood from which trees are used to make this type of flooring? High quality wood made in hardwood, parquet is, teak wood, merbau, and oak. Ultra high endurance, can be used for a lifetime only by giving a touch of re-staining within a certain period of time. Waterproof and very easy to clean from stains, either swept or washed. Use of this type of flooring gives the impression of a natural but also luxurious. Installation is relatively difficult and takes a long time. Unable to resist hot objects on it and will cause semi-permanent scars. It can shrink and expand depending on changing weather conditions. Can not stand the impact and also can not muffle the sound. Because it is strong and resistant in all fields, hardwood flooring can certainly be placed anywhere in the interior of your home. In addition, traditional houses, hardwood parquet is also very suitable to provide a touch of interest in minimalist, contemporary, even Scandinavian dwellings. Just like hardwood, the type of floor with engineered wood material is also made into parquet. Parakeet engineered wood which is also commonly referred to as composite wood is composed of multiplex plywood located at the bottom of the layer and a thin layer of hardwood (veneer) located in the top layer of parquet. The entire structure of parquet is composed and shaped using special machines and also very good quality adhesive. Some types of trees that are commonly used as material for manufacture of wood engineered wood are Oak Wood, Ebony, Maple, Afroomosia, and Figured. Because not using pure hardwood, the selling price for this type of floor tends to be cheaper than the hardwood floor. One more thing, though not original like the hardwood parquet result of this engineering has good strength and also resistant to water. This one floor type is perfect for those who crave the look of an elegant home but has a limited budget. Installation is very easy and fast. Can be mounted on any subflooring material, either from acian or ground floor. 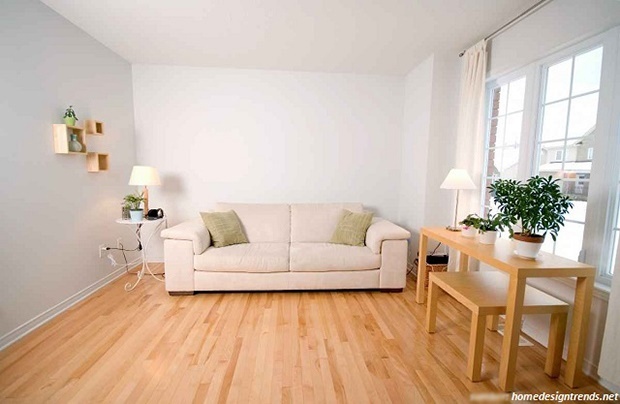 Compared to the hardwood floor, this type of floor is more resistant to damp. Then you can use it to coat the basement floor. The quality and durability of the wood depend on the brand. Can only be re-polished once. The sides of the parquet panels have rough surfaces and can be the entry point for water. Usage time is not along the floor of hardwood parquet. 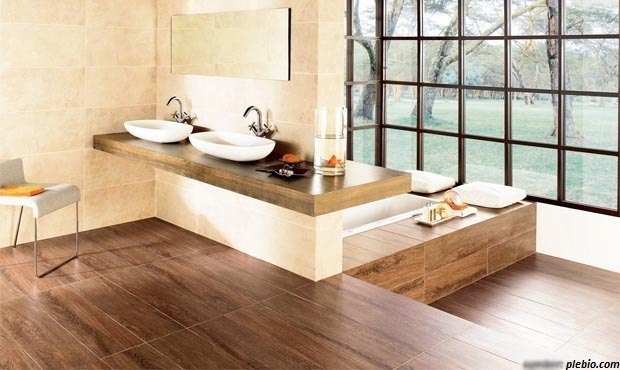 Floating floor tiles are touted as new technologies in the field of flooring. Some say the type of flooring is often referred to as a floating hardwood floor is a wood, though the process ultimately using lamination techniques. Hardwood pieces were ground and smoothed into powders. The powder is mixed with a variety of other ingredients until it can coalesce. The mixture is then pressed using a special machine with a power of over a ton. 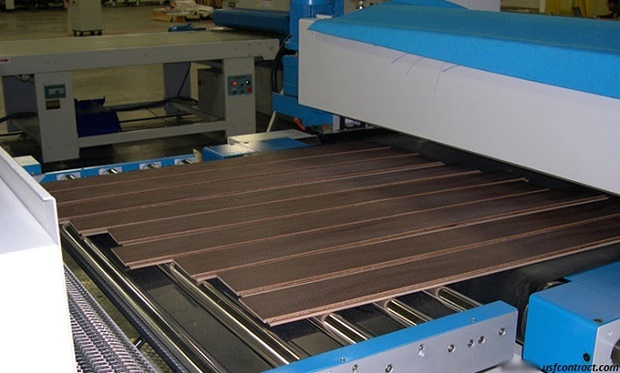 The process will produce wooden parquet sheets called high density fiber (HDF). HDF then laminated using a machine to look shiny. If hardwood and engineered wood parquet are taped directly to the subfloor, unlike the case with laminated wood. The pieces of paraquat are arranged in such a way as to be a stable structure and not at all attached to the most basic floor layers. Some brands of this type of floor have a tongue & Groove system that can lock each piece strongly. Easy to clean, resistant to stains, easily replaced, and also very hygienic. Not too comfortable when stepped on. 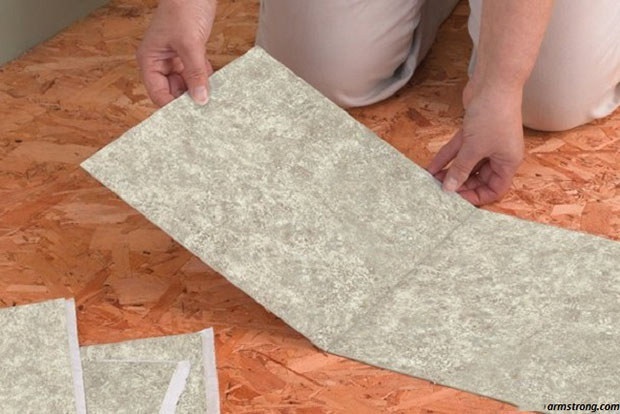 Because it is made of synthetic material, then when it looks blur you must replace the overall floor of your house. Prone to slippery when exposed to water spills. If blisters, it will look very clear. You certainly many who thought that the type of floor with natural stone material is more suitable for home exterior. Ever since, many natural stones are utilized to beautify and coat the interior of the house. Of course the natural stone floor for the exterior and interior have different types and surfaces. 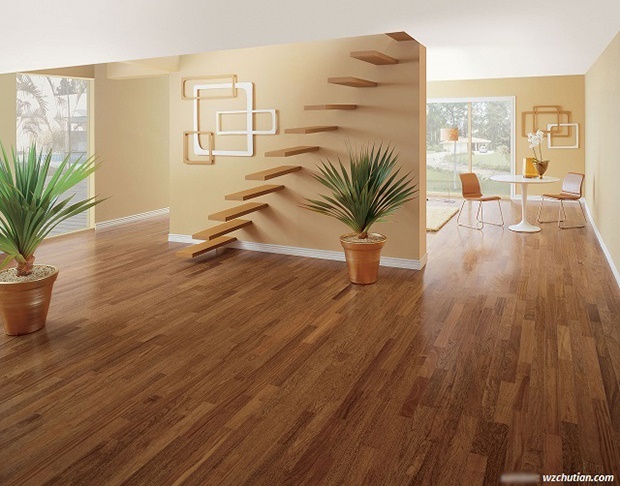 For home interior floor that is used has a more slippery and more beautiful and charming. Some examples of stones used as interior floor are andesite, granite, marble, travertine, and limestone. Using natural stone materials for your home floor type will give a very elegant impression. If you notice, luxury homes with classic design tend to use this type of floor. You can also use it in every corner of the house, including the kitchen and bathroom. The look will be more beautiful and charming as time goes by. It is the most powerful type of floor compared to other types. Owned view is very suitable and can be used all the time. Can add earthy and esthetic impression on each dwelling. The price is expensive compared to other floors. The installation is quite complicated. Some types of floors can absorb stains and dirt. That’s the type of floor that you can make an alternative to ceramics for your home. Hopefully this super full review can help to determine the right flooring options.